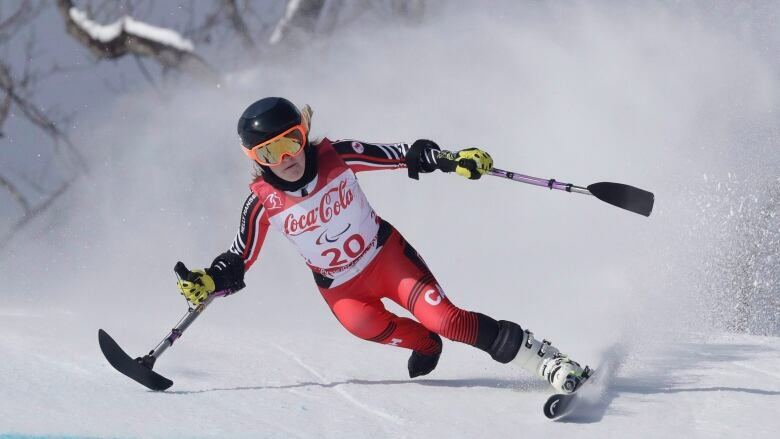 Canadian para skier Frederique Turgeon scored a gold medal in the final slalom event of the 2019 Para Alpine World Cup opener in Zagreb, Croatia on Thursday. Turgeon posted a two-run time of two minutes 16.96 seconds in the women slalom standing event, giving her a commanding win over the rest of the field. "My leg was very tired, and I felt my second run was slow," said Turgeon. "The softer snow conditions make it harder for me to stay balanced, but I'm still very happy with what I did." The 19-year-old also won gold on Wednesday in the women slalom standing event. Turgeon will join her Canadian para alpine skiing teammates for the IPC world championships in between Jan. 21-Feb. 1, in Kranjska Gora, Slovenia and Sella Nevea, Italy.